So notice how a rabidly religious bully (the Pakistani authority) forces an entire publishing organization (WordPress) to submit to censorship, under the threat to outlaw it, altogether. I have wasted lots of time reading carefully fundamental Islamic texts. One interest is to find out how crazy people can get, and the reasons which prop them to become so. 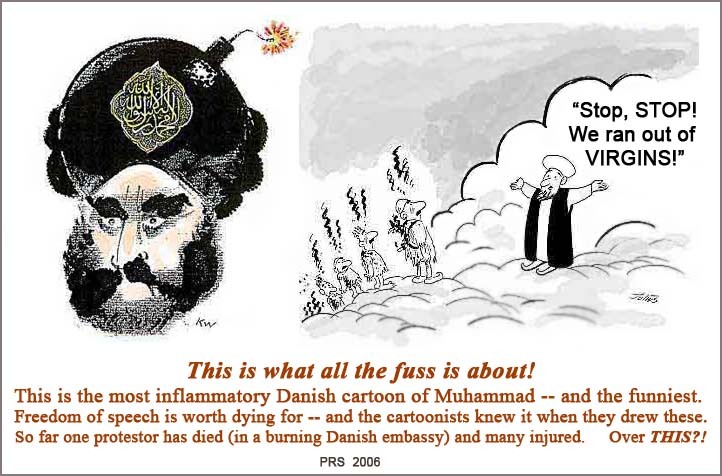 So Jihadists and other Islam fundamental hysterics are of general interest to probe the human soul. Killing Christians for “Blasphemy” became routine in Muslim occupied Pakistan. Muhammad explicitly said that the Islam ideology gave the mental framework to attack the Greco-Roman and Zoroastrian civilizations, and that, for the first time in 1,000 years, it was the precise military moment to do this. Then Muhammad headed a large army into the Roman empire: Muhammad, a man of his word, and his sword. On both counts, Muhammad was perfectly right. And history proved it, as Islam collapsed, through astounding military victories, both the Zoroastrian Sassanid empire, and the (Greco-)Roman empire… in a few years. In lieu of above it is highlighted that few of the web pages hosted on your platform are extremely Blasphemous and are hurting the sentiments of many Muslims around Pakistan. The same has also been declared blasphemous under Pakistan Penal Code section 295- B and is in clear violation of Section 37 of Prevention of Electronic Crime Act (PECA) 2016 and Section 19 of Constitution of Pakistan. Keeping above in view, It is requested to please support in removing following URL’s from your platform at earliest please.